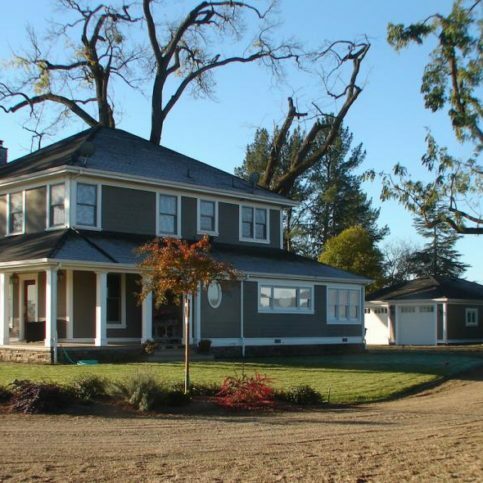 Whether you need more living space to accommodate a growing family or you want to modernize a drab and dated home, chances are that a local remodeling and addition contractor in Napa County has the answer. Research is the key to finding the best home renovation and remodeling contractors in Napa County, including those in the major cities of Napa, American Canyon, St. Helena, Yountville and Calistoga, as well as those in the smaller towns and Angwin, Deer Park, Pope Valley, Oakville and Rutherford. First, have a clear idea of what type of project you’re looking for. Do you want to add a room or build a second story? Do you want to remodel your kitchen and bathroom, or turn your attic or basement into living space? By having clear parameters of the size and scope of your project, you’ll help contractors give you a reliable bid and add suggestions for the best use for your existing and new spaces. Experienced remodeling contractors are more likely to give accurate bids, create unique remodeling and addition plans, do a professional job and complete the project on time. So confirm that the Napa County renovation contractor you’re considering has successfully completed several of the type of home addition or remodeling project you are hiring them to perform. Ask to see photos or even visit recent projects they’ve finished that are similar to yours. While it’s best to choose a Diamond Certified home remodeling and additions company because they’re rated Highest in Quality, that may not always be possible. If you’re unable to choose a Diamond Certified remodeling contractor in your area, you can improve your chances of hiring a good home addition company by checking out candidates on the Contractors State License Board website to ensure active license and workers’ compensation insurance. Violations will also appear on their license record, so you’ll know about recent infractions or serious customer grievances that have been processed by the state. Then take time to verify company credentials. Remodelers who are members of local remodeling and home addition organizations and national building associations may offer better service, and you’ll be able to see their past records, including complaints and legal action. You’ll probably spend weeks and even months dealing with your addition and remodeling contractor, depending on the work you’re having done. And as with any working relationship, it’s important you work well together. So you’ll want to consider the personal and professional qualities you value in a remodeling contractor. Promptness, good communication skills, honesty and cleanliness are important to many consumers, so decide what traits you want in the home addition and remodeling contractor you hire and don’t settle for less. Be aware, though, that with some remodeling companies in Napa County, including in the larger cities of Calistoga, Oakville, Napa, American Canyon and Yountville, the estimator you first deal with might not be part of the construction crew. That means there’s a chance the relationship you’ve built with them and the agreements you’ve made might not carry through to the rest of the job. If you’ve been talking with a local remodeling contractor, you may want to confirm with them who will be your contact during the remodeling or addition project and how they can guarantee the promises made during the planning process will be kept by the building crew. Now that you’ve done some initial research and have a clearer idea of what it is you want in your new home addition/remodel and your contractor, talk with a few remodeling companies and home addition specialists in your area of Napa County. That’s easy if you live in one of the larger cities, including Napa, Pope Valley, American Canyon, Calistoga or Yountville. However, many addition and remodeling contractors are willing to travel to other parts of Napa County, including the smaller towns. When interviewing remodelers, remember that many good addition and remodeling companies will not provide estimates over the phone without seeing the job first. Still, don’t feel obligated to set an appointment for an in-home estimate if you weren’t impressed with your initial contact with the contractor. If the local home addition and remodeling companies you’ve talked with don’t meet your expectations or can’t answer your questions satisfactorily, feel free to end the conversation and move on to the next high-quality remodeling contractor on your list. Why Trust Diamond Certified Remodeling Contractors Rated Highest in Quality? Only the best remodeling and addition contractors in Napa County have earned the Diamond Certified award by scoring Highest in Quality in the most accurate and rigorous ratings process anywhere. You’ll never be fooled by fake reviews, since all research is performed by live telephone interviews that verify only real customers are surveyed. Most companies can’t pass this test. That’s why you’ll feel confident when you choose a Diamond Certified remodeling and addition contractor listed below. Simply click on the name of a Diamond Certified company below to read ratings results, informational articles and verbatim customer survey responses. Voldi Chandler is president of Chandler Construction, a Diamond Certified company. He can be reached at (707) 584-6579 or by email. A: Faith No More and Billy Idol at the ARCO Arena in 1992. A: On the weekends, I like to go out and get an all-American breakfast with eggs, bacon, and biscuits and gravy. A: I’d go to Peru to see the ancient city of Machu Picchu. Penny Pinching Construction & Remodeling handled the tile and ceiling work in this sunroom. This bathroom renovation project features tile, standard plumbing and light fixtures, and inlaid tile backsplash. 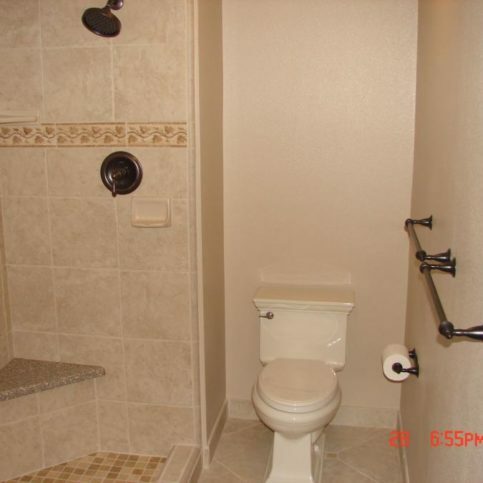 Penny Pinching Construction & Remodeling installed ceramic tile and fixtures in this bathroom. 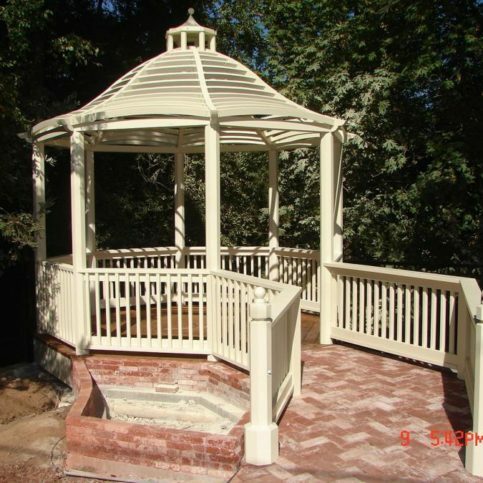 Penny Pinching Construction & Remodeling customized the roof of this gazebo so the boards arched up and down and side to side. Penny Pinching Construction & Remodeling handled the brickwork on this jobsite. Penny Pinching Construction & Remodeling handled the framing and roofing on this addition project. 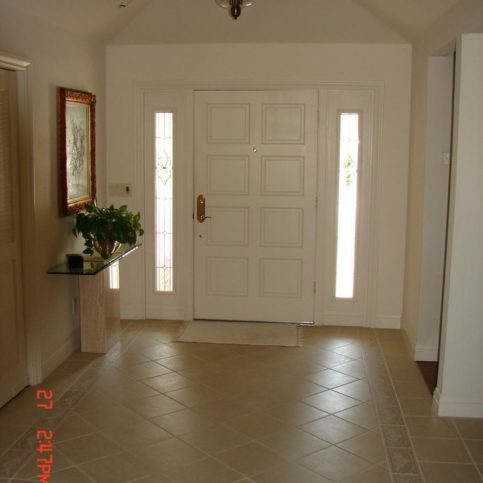 This renovation project features custom tile work in the entryway and a coffered ceiling. 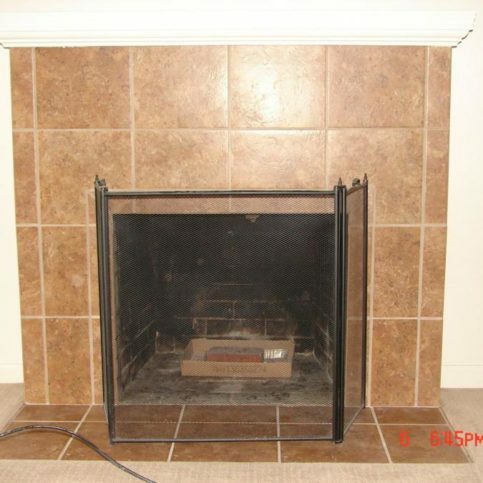 Penny Pinching Construction & Remodeling installed the ceramic tile around this fireplace. 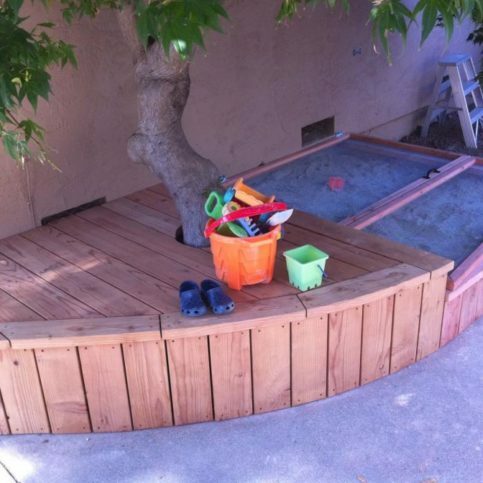 Penny Pinching Construction & Remodeling installed this custom redwood bench and sandbox in Napa. 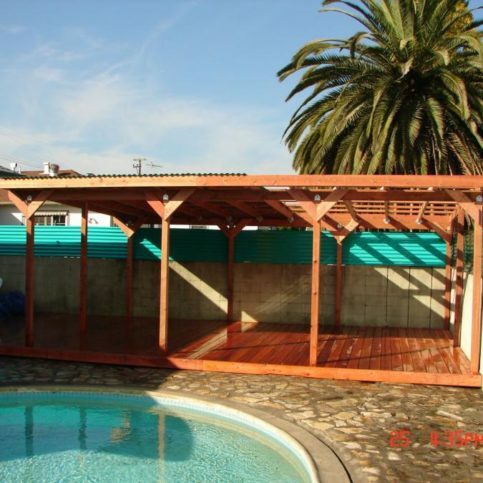 Penny Pinching Construction & Remodeling installed this redwood pool deck covered with corrugated plastic in Napa. 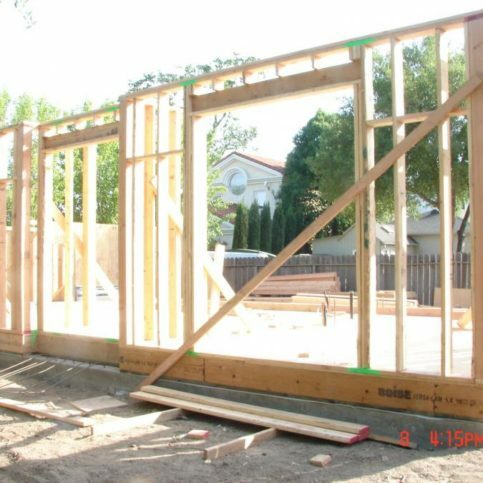 Penny Pinching Construction & Remodeling handled the framing on this new construction project in Oakley. 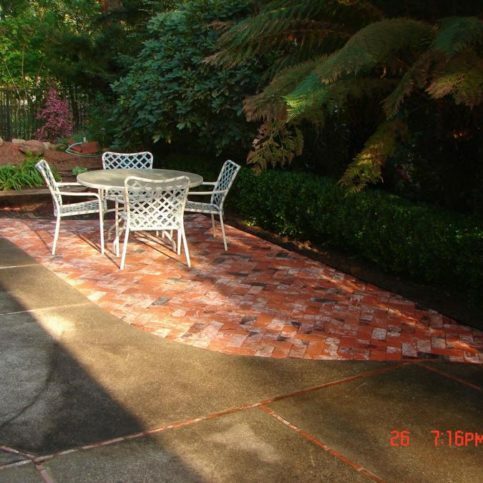 Penny Pinching Construction & Remodeling laid these bricks in a client’s backyard. Penny Pinching Construction & Remodeling handled the plumbing and installed the sheetrock and tile on this walk-in shower. 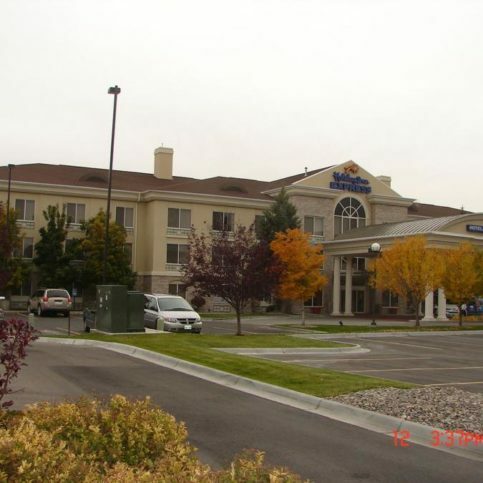 Penny Pinching Construction & Remodeling spent three months working on the framing of this Holiday Inn Express. Penny Pinching Construction & Remodeling installed the custom cabinets and tile in this bathroom. Penny Pinching Construction & Remodeling re-stuccoed this entire house. 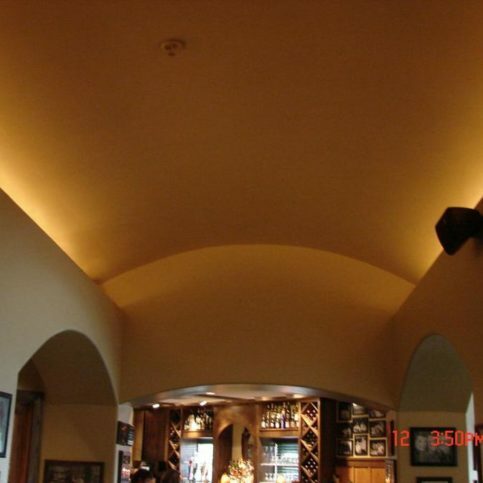 Penny Pinching Construction & Remodeling handled the framing for each of the 20 arches inside Johnny Carino’s in Fairfield. 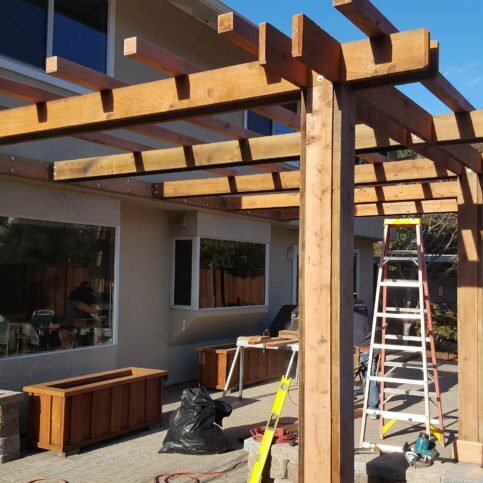 Penny Pinching Construction & Remodeling built this redwood arbor in a client’s backyard. Penny Pinching Construction & Remodeling installed these oak cabinets. 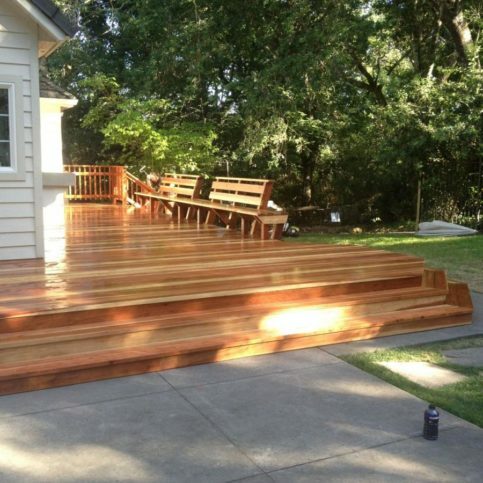 Penny Pinching Construction & Remodeling custom-built this redwood deck with matching railings and benches. 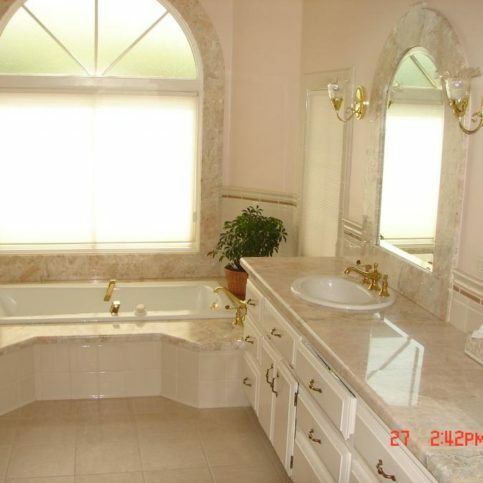 This bathroom renovation project features new marble, tile and custom plumbing fixtures. Are there any specific requirements or wishes I have for the project? What is my budget for home remodeling or home addition costs? What characteristics and personal and professional qualities am I looking for in a Napa County remodeling and addition contractor? Once you’ve narrowed down your choices by interviewing local remodelers via phone, meet with your top choices in person. You may find it beneficial to take notes on your conversations and recording each addition contractor’s answers, suggestions and general attitude about the project. How much time will the remodel/home addition take, from designing through completion? Will I be able to stay in my home during the remodel/home addition? Will this home addition or remodel add value to my home? Do you have any recent projects in my area of Napa County where I can see how the house addition and home remodels look from the street? Do you offer warranties and guarantees on your work? Will you put them in writing? How would I handle future service issues? Are you responsible for warranty work if there’s ever a problem with my home addition/remodeling project? What can I do to make the remodeling and addition process easier? Diamond Certified remodeling and home addition contractors are your best choice, because all certified companies have passed an in-depth ratings process that most other companies can’t pass. If you want quality from a Napa County remodeling company, you can have confidence choosing a Diamond Certified remodeling contractor from the greater Bay Area. Diamond Certified reports are available online for all certified addition and remodeling contractors. And you’ll never be fooled by fake reviews. That’s because all research is performed in live telephone interviews of actual customers. If you can’t find a Diamond Certified remodeling company within reach, you’ll have to do some research on your own. In that case, it’s sensible to call some references provided by the Napa County remodeling companies you’re deciding among. Keep in mind, though, that references provided to you by the home addition contractors are not equal in value to the large random sample of customers surveyed during the Diamond Certified ratings process. That’s because references given to customers from companies are cherry-picked instead of randomly selected from all their customers. So the contractors will likely give you a few customers to call that they know are satisfied. If you do call references on your own, request a list of the company’s 10 most recent customers. This will help avoid them giving you only the names of customers they know were satisfied. Then, use these questions to get you started in your interview of previous customers. Were you satisfied with the home remodel/home addition work from _(remodeling & addition company name)_? 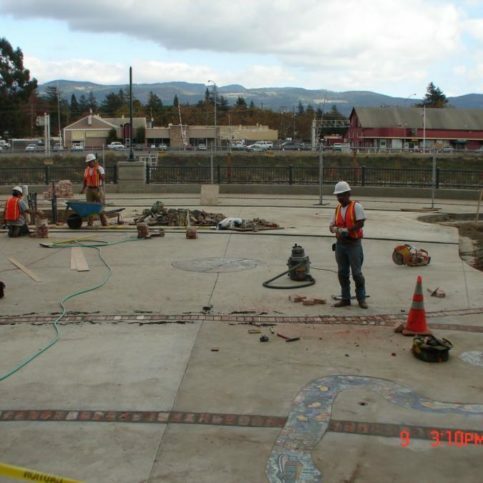 Did the Napa County remodeling contractor and home addition company you hired complete the work on time? If you live in a smaller town or rural area, did the remodeling contractors charge extra to travel to your home? Did the Napa County home remodelers show up on time? Did they clean up after finishing the home renovations? If you need home additions or remodeling work in the future, would you use this contractor again? Can I visit your home to see the completed home renovations and room addition? Can the remodeling contractors and addition builders you’ve interviewed meet your needs in terms of scheduling, design and construction preferences? Are the Napa County remodeling contractors knowledgeable about the scope and details of the home remodel/home addition you’re considering? Can they tell you which designs and products best suit your needs and why (i.e. whole home renovation, kitchen remodel, bathroom remodel, sunroom addition, basement renovation, attic remodeling, bedroom addition, etc.)? Is the renovation and remodeling company sensitive to your budget? Can they offer various solutions and finish products that fit your resources? Most home addition contractors will give you bids for Good, Better and Best options that include choices of design and aesthetics, prices, brand names/manufacturers and services. Do the remodeling and addition contractors in Napa County offer warranties in the event of a product failure or construction/installation error? Will they put their guarantees in writing? 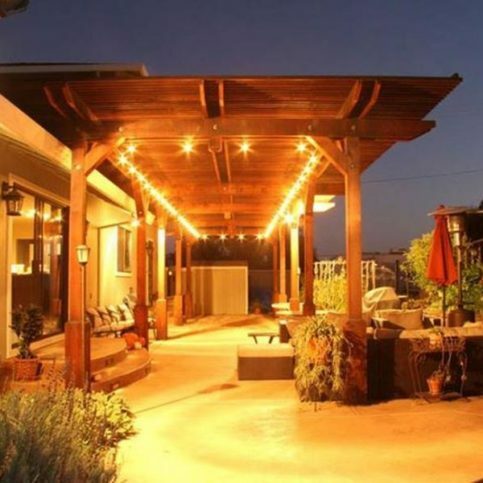 Before interviewing and choosing a good home remodeling company in Napa County, including those serving the larger cities of Napa, Calistoga, American Canyon, St. Helena and Yountville, decide the type of project you’re looking for and the scope of the work you want done. You should also know the budget range you’re looking to stay within. This will help you express yourself to the contractors you talk to, and will give each remodeling contractor and home addition builder the chance to bid on the same project. And it will help you define boundaries so that you don’t end up getting—and paying for—more work than you want or need. Knowing the scope of your home addition or renovation will give you a good idea of whether you want to stay in your home during the work or relocate while the construction is in process. Home renovations and additions can be loud, dusty and disruptive, but some are more intense than others. Consider the rooms you’re having remodeled or the location of the home addition and ask the home remodeling and addition contractors you interview whether you’ll be able to stay in your home during the work. You may want to consider moving to another location for the duration of the project if important rooms (like your kitchen and bathrooms) will be under construction, or if the contractor expects major interruptions in electricity or water. Once you’ve found the Napa County remodeling and addition contractor that is best suited to your job, you can move forward by obtaining a detailed estimate and signing a contract. The contract should include the price, start and end dates and any special requests you’ve agreed upon with your local home renovation contractor. You’ll also want to confirm any warrantees or guarantees at this time and make sure they’re in writing in the contract. Read through the estimate and be sure you understand all terms and limitations before you sign the contract. The contract you sign with your Napa County remodeling company is binding, so for your protection, never sign a blank or incomplete estimate. Good Napa County remodeling contractors are professionals, but you can save time and money by planning for your home addition and renovation. Provide adequate storage space if required. Some remodeling contractors in Napa County have facilities or travel trailers in which to store remodeling materials and building equipment, but others expect homeowners to provide a clean, dry and accessible storage area for these materials. Ask your home renovation contractor if you’ll need to have space for materials and, if so, how much space is needed. Supply clearance and parking space for work trucks. Construction vehicles are often large and may need special parking consideration depending on the size of your driveway or available street parking. Ask your contractor how many work vehicles will need parking space, and whether trailers or other large vehicles will be on site daily. It may also be wise to walk through your property with your Napa County remodeling contractor and have them advise you of any clearance issues, lawn ornaments or potential hazards that you can move or minimize before the work begins. Prepare your home for construction dust. Remodeling and new addition construction is often a dusty job. Many contractors will provide taping and plastic barriers to prevent dust and construction debris from entering areas of your home that aren’t being remodeled or renovated, but you may be able to save time and money by preparing your home yourself. Talk with your remodeling contractor about steps you can take before the remodeling begins. Move and store unnecessary items. Remove furniture, decorations, rugs and other movable objects from the rooms to be remodeled. This will protect them from dust and damage, and will allow your remodeling contractors to move freely and avoid injury. You may also want to temporarily store any heirlooms or expensive items that are located in high traffic areas of your home. Keep in mind that construction can cause items to shift and fall from shelves and walls, and take down any artwork or decorations. Keep children and pets away from the construction area. Your remodeling and home addition contractors shouldn’t be expected to watch out for kids and pets. So for their safety, keep any household pets or children out of the area when your remodeling contractors are working. It’s wise to keep everyone away from the construction area even when no remodelers are working as building tools, unfinished construction and exposed wires may pose a safety hazard. How Can You Be a Good Remodeling Company Customer? The best local remodelers and home addition contractors in Napa County will have superior remodeling and building skills that will enable them to do good work and offer a fair value. But you also play a part in the success of your remodel and home addition. Here are a few simple steps you can take to be a good customer when hiring a Napa County remodeling contractor and home addition company. Be clear and upfront with the remodeling and renovation specialist. Let them know what you want from your home renovation or room remodel, the long-term outcome you’re expecting and specific ways they can meet your expectations. Before you hire a Napa County remodeler or home addition contractor, restate your expectations and goals, and reiterate to the remodeling company representative your understanding of the agreement. Most problems with local remodelers and home addition contractors occur because of a breakdown in communication. By being clear about your expectations and theirs, you can avoid most conflicts. Ask your remodeler if you should call to check on the progress or if he will call you with updates on your home addition. Be sure your service representative has a phone number where they can reach you at all times while they’re remodeling your home. The addition process will move along more smoothly if your contractor can reach you for any necessary updates, questions or work authorizations. When your remodeling contractor contacts you, return calls promptly to keep the home addition or remodel on schedule. Pay your remodeling and addition contractor promptly. Why would you want to be a good customer? 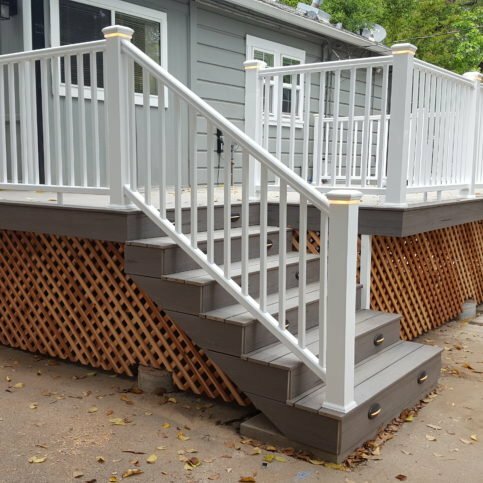 Napa County home addition and remodeling contractors in the larger cities of Napa, Calistoga, American Canyon, St. Helena and Yountville, and all of the other towns appreciate customers who are straightforward, honest and easy to work with. Your good customer behavior sets the tone from your end and creates an environment conducive to a good relationship. Things may very well go smoother and any problems may be more easily resolved. Once the work is completed, walk though your new home addition or remodel with your renovation contractor. Check the work against your invoice and make sure that it stands up to your expectations and is what was promised in your contract. The name, physical address and state license number of the remodeling contractor. An itemized list of all construction materials. The total cost for your home renovation or home addition, including an itemized amount due for labor. A written explanation of any warrantees or guarantees provided by the product manufacturers and the home remodeling contractors. The most popular types of remodeling and addition projects for contractors in Napa County are listed below, including examples of each kind of remodeling job. Kitchen remodeling includes renovations of the design, style and structure of a kitchen. A kitchen remodel may comprise new kitchen design plans, kitchen counters, kitchen cabinets, new kitchen appliances, new flooring and new kitchen lighting. A minor bathroom remodel will change the appearance of an existing bathroom, while a larger-scale bath remodel can change the size and usage of an existing bathroom. 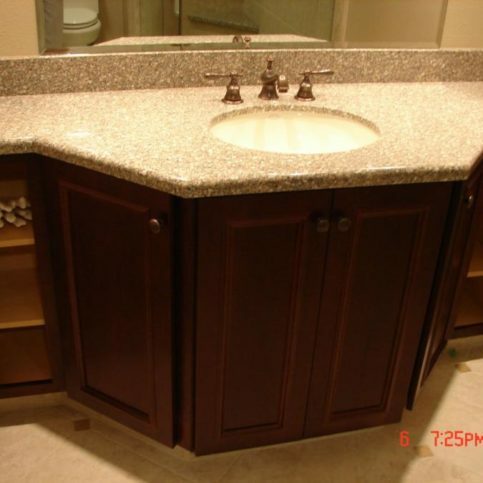 Most bathroom renovations in Napa County include new bathroom fixtures, paint, bathroom flooring, bathroom tile, bath cabinets, new showers and bathtubs, new bathroom mirrors and even new bathroom floor plans. Home additions, including master bedroom additions, family room additions, garage additions, in-laws quarters, mud room additions, second-story additions, kitchen extensions, sunroom additions, dormer additions, front porch additions and bonus room additions, are a great way to add value and extra space to existing homes. Also known as four-season rooms, sunrooms generally cost less than regular home additions. They are a supplemental home addition (rather than a functional or necessary home addition, like that of a bathroom addition, kitchen or bedroom addition) that provide extra space for reading and entertaining. Many sunroom additions come in the form of a prefabricated kit and do not include central heating or cooling systems. Home remodeling, done either as a single-room remodeling project or as an entire home renovation, includes changing the appearance and even the design of the home. Most home remodels in Napa County include new home floor plans and home improvements such as new flooring, new windows, kitchen and bathroom remodeling, basement remodeling, attic renovations, new paint, new appliances and other home interior renovations. Basement renovations are a popular home remodeling project. Most basement renovations turn unused basement space into a finished basement with a family room, bedroom, basement bathroom, recreation room (rec room), or other usable space. Napa County basement remodeling plans may include basement design, the installation of basement walls, new carpeting and flooring, a basement fireplace and a basement bar. Like home remodeling, home renovations can change the design, functionality and appearance of your home’s interior. Home renovations, whether in the kitchen, bathroom, basement, bedrooms or living rooms, often start with home renovation plans from a qualified Napa County remodeling contractor and include new house interior designs, new flooring and wall coverings, new countertops and cabinets, construction of new walls and home improvements like new fireplaces and new lighting. Room addition to homes can be any size and may include bathroom additions, family room additions, modular home additions, sunroom additions and bedroom additions. Room additions are often a complex process. 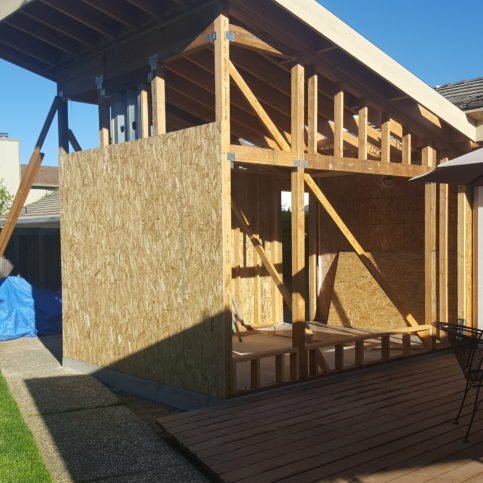 Since the new room addition plans should match your existing home and must correctly connect to the existing structure, it’s wise to hire an experienced Napa County home addition contractor to draw up your room addition plans and complete the new addition. Garage additions create more space for vehicles, storage and even future living space. Garage plans can be drawn to add on to existing garages and existing homes, or can be free-standing garages. 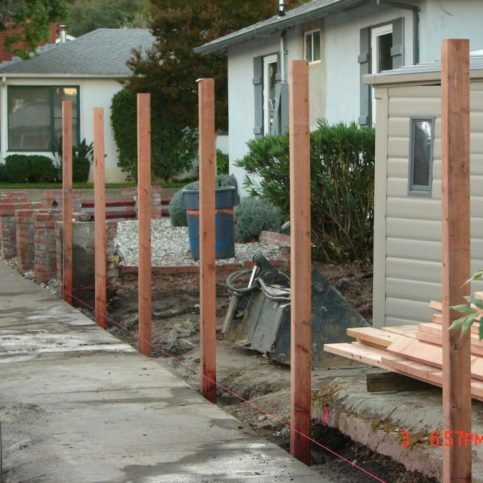 If you have future plans of adding a bathroom or renovating your garage to create living space, you can have your Napa County addition builder install plumbing and electrical in your new garage addition. Home remodeling contractors in Napa County can create custom remodeling plans based on your existing home and your requirements and wishes for your home remodel or addition. 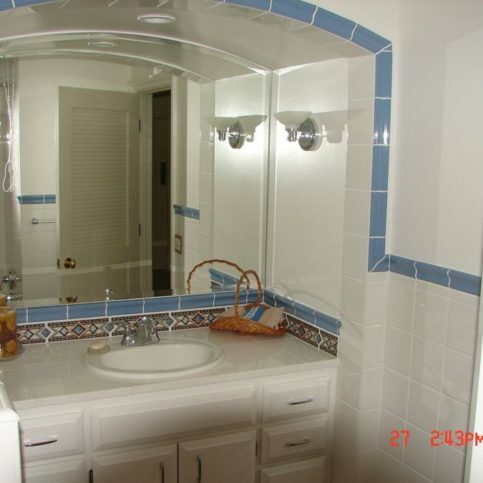 A bathroom remodel will change the size and appearance of an existing bathroom. Most bathroom remodels in Alameda County include new bathroom floor plans, updated bathroom fixtures, flooring, tile, bathroom cabinets and countertops, new bathtubs and shower enclosures. Basement renovations turn unused basement space into finished basements with a family room, extra bedrooms, basement bathroom, recreation room (rec room), game room, or other usable space. 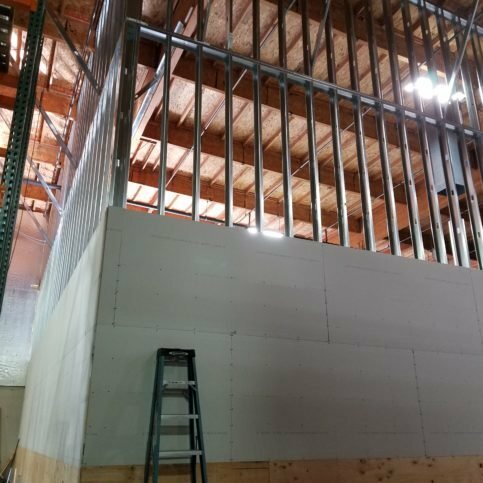 Alameda County basement remodeling contractors provide basement design, basement wall installation, new carpet and flooring, basement fireplaces and basement bars. Adding a new bedroom to an existing home through the process of a room addition is known as a bedroom addition. Bedroom additions can be added on top of an existing home as a second-story addition, above a garage or alongside the existing structure. Remodeling an existing bedroom can include new bedroom floor plans, the addition of a master bathroom, new bedroom designs and bedroom redecorating. Work that is changed during construction and differs from the work contracted for. Change orders require an addendum to the renovation and addition contract and ay result in additional charges. Custom remodeling plans are based on your existing home and your requirements for your new home remodel and home addition. Good Alameda County remodeling and addition contractors can provide customized home remodeling plans for every project. An initial bid that lists the anticipated costs and expenses of a home remodel or home addition. An estimate should include itemized lists for labor and materials. Once signed by the remodeling contractor and homeowner, an estimate is a binding document. Garage additions can add on to existing garages and homes, or can be free-standing. If you have future plans of adding a bathroom or turning your garage into living space, a Alameda County addition builder can install plumbing and additional electrical wiring in your new garage addition. 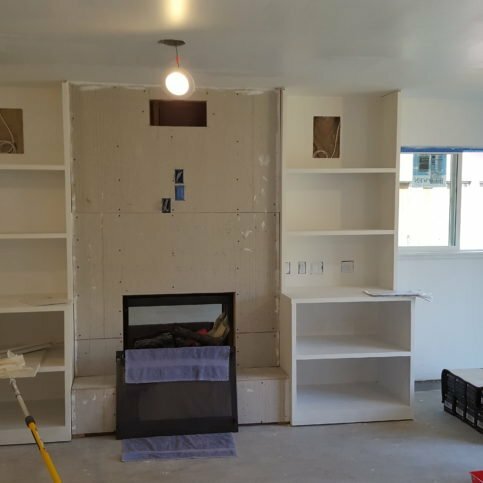 Existing garages can be renovated into living space, additional rooms, mother-in-laws quarters, game rooms or storage space by Alameda County remodeling contractors. 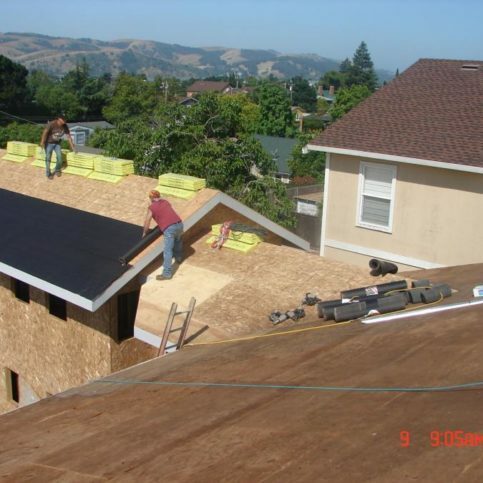 Many Alameda County home addition and renovation contractors offer green remodeling services. Green remodeling can be defined as home remodeling with an emphasis on sustainability, maximizing natural resources and efficient and ecologically-responsible design and construction techniques. Home additions, including master bedroom additions, second-story additions, kitchen extensions, sunroom additions, family room additions, modular home additions, garage additions, in-laws quarters, mud room additions, dormer additions, front porch additions and bonus room additions, can add value and space to existing homes. A home remodeler is a remodeling contractor that specializes in renovating existing homes. 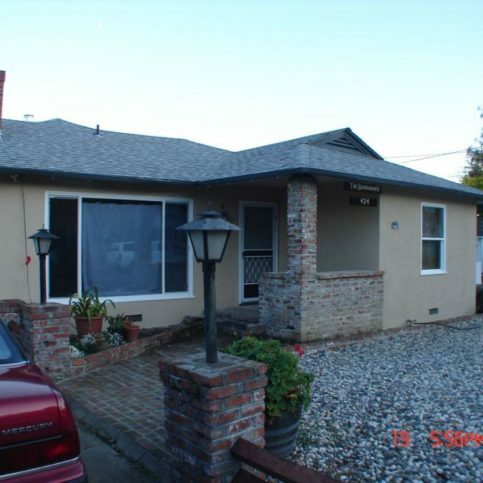 Many home remodelers in Alameda County are also home addition builders who can add new rooms, second story additions and new garage additions to existing homes. Home remodeling can refer to a single-room remodeling project or an entire home renovation. A full house remodel includes changing the floor plan or design of the home to modify the appearance of the home. Most house remodels in Alameda County include new home floor plans and home improvement renovations such as new flooring and windows, kitchen and bathroom renovations, basement finishing, attic remodeling, fresh paint, new appliances and other home interior changes. A home remodel that is done to preserve the original structure of the house is referred to as a home restoration. Home restorations may also restore the original style, structure and historic relevance of a home. 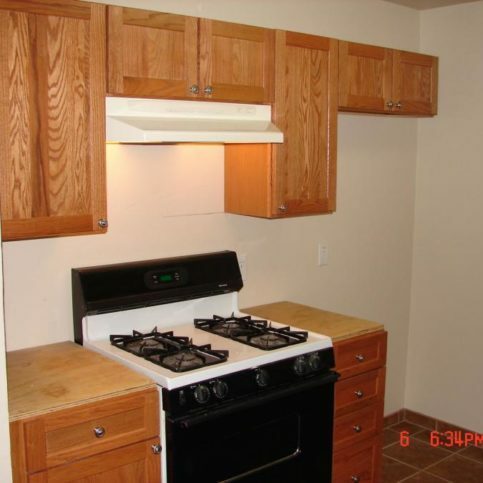 Kitchen remodeling in Alameda County often involves renovating the design, style and structure of kitchens. A good kitchen remodel may comprise new kitchen design plans, kitchen counters, kitchen cabinets, new kitchen appliances, new flooring and new kitchen lighting. Some remodeling companies in Alameda County specialize in kitchen remodeling and only do kitchen designs and renovations. 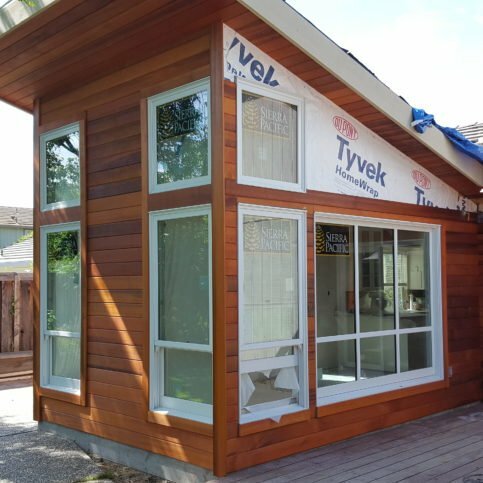 Room additions may include bathroom additions, family room additions, modular home additions, sunroom additions or conservatory additions and bedroom additions. Room additions are often a complex process regardless of the size of the room addition. Since new room addition plans should match the existing home and must correctly connect to the existing structure, it’s wise to hire experienced Alameda County home addition contractors to draw up room addition plans and complete new additions. Subcontractors are construction professionals who are hired by construction companies to perform specific tasks or complete work for the contractor. Some Alameda County home renovation contractors hire subcontractors to complete certain phases of home additions and remodeling projects, including plumbing, heating and cooling, electrical and finish work. Sub-contractors should be qualified and carefully vetted by the remodeling contractors to ensure a quality home renovation or remodel. 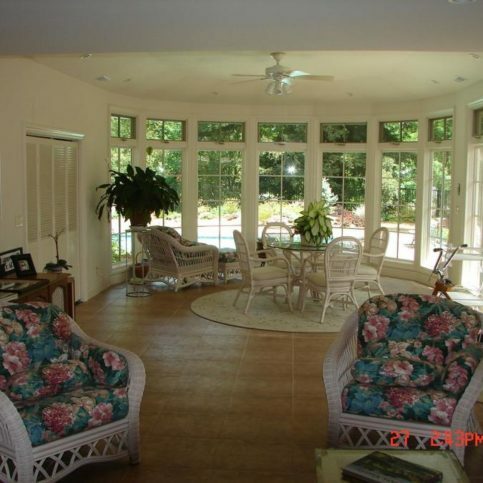 Also called four-season rooms, sunroom additions are generally less expensive to build than room additions for homes. Sunrooms are considered supplemental home additions that provide extra space for reading and entertaining rather than functional or necessary home additions, like bathroom additions, kitchen and bedroom additions that add living space to homes. Some sunroom additions are available as prefabricated kits and do not include central heating or cooling. Whole house remodels are remodeling projects that renovate an entire home rather than just one or a few rooms. Whole house remodels may involve gutting and rebuilding the interior of a home from the subflooring to the ceiling and might include moving, adding or removing walls. Whole house remodels can be a cost-effective way to completely renovate an old house to make it feel like a brand new home. Q: Why choose a Diamond Certified remodeling contractor and addition builder? A: Diamond Certified helps you choose a home remodeling and addition company with confidence by offering a list of top-rated local companies who have passed the country’s most in-depth rating process. Only remodeling companies rated Highest in Quality earn the prestigious Diamond Certified award. Most companies can’t pass the ratings. American Ratings Corporation also monitors every Diamond Certified company with in-depth and ongoing research and ratings. And your purchase is backed by the Diamond Certified Performance Guarantee. So you’ll feel confident choosing a Diamond Certified remodeling contractor and addition builder. Q: Why would I want to remodel or add to my home? A: Remodeling can modernize your home, improve energy efficiency, and give you a new sense of pride in your home. Many Napa County homeowners find that home remodeling projects allow them to upgrade their current home so that they’re happier living in their home and increase the resale value of their home. Like home renovations, home additions can add more usable space to a home. Whether you add a sunroom, a new garage or a bedroom addition, home additions add square footage and usability to your house. Q: Should I hire a remodeling and addition contractor for my project? Can’t I just do it myself? A: DIY stores and home improvement centers may carry many of the tools and materials for your home remodeling and addition project, and some homeowners certainly can take on these projects themselves. However, many homeowners find it saves them time, money and frustration to hire a competent, experienced remodeling contractor for their home renovation. A good remodeling and addition contractor will help you plan, execute and finish the project with much less hassle than you can expect when taking on a project yourself. Q: How much will my remodeling project/home addition cost? A: The cost of home renovations depends on the size and scope of your project and the quality of materials used for the addition or remodeling. When getting estimates from local remodeling contractors and home addition builders in Napa County, make sure you’re asking the contractors to big on the exact same scope, size and materials in order to get accurate bids. Q: I have three estimates and they vary greatly in price. Why is this? A: It’s not uncommon for prices to vary from contractor to contractor. But if the gap between the highest price and the lowest price seems too substantial to be correct, or one bid is much higher or lower than the others, talk with the contractors again. 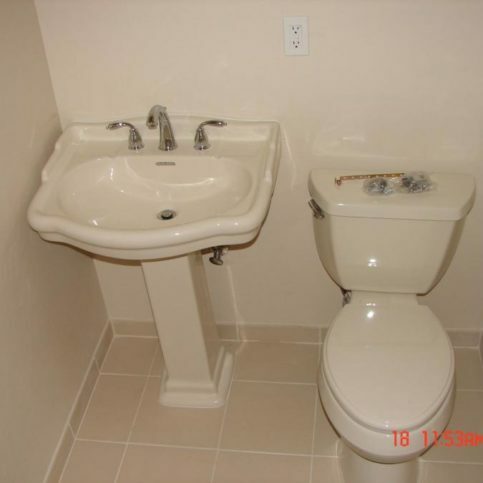 It may be that one contractor didn’t understand the scope or details of the project they were bidding. Ask the remodeling contractors to fully explain their bids, and if they are vague about their answers, move on to the next contractor. Beware of bids that seem artificially low, as some home renovation contractors purposely underbid jobs and then tack on expensive change orders during the construction. Q: How long do home remodels and additions take? A: Depending on the size and scope of your project, your remodel may take a few weeks to a few months and room additions can take several months. Problems found during demolition, unforeseen challenges and the skill of your contractor can also add to the timeline. It’s important to get a clear and reasonable timeframe estimate from your Napa County remodeling contractor and home addition builder when getting initial cost estimates. Q: How much value will my addition or renovation add to my home? A: The amount of value added to your home depends greatly on the renovation you choose and the quality of the workmanship and materials. If you’re planning to live in your home long-term, you may find that your room addition and home renovation will add more to your quality of living in your home, even if it doesn’t add to the resale value of your home. On the other hand, if you’re planning to sell your home soon, you may want to consult with contractors and real estate agents about which home additions and remodeling projects will add the most value to your home. For an idea of the added value of some of the most common remodeling projects, you can visit this site that compares cost and value of remodels. Q: Do I need to hire an architect, or can my Napa County remodeling contractor and addition builder draw my home renovation designs? A general rule of thumb that many builders follow is that if you’re tearing down walls or moving walls, or if your project includes an addition and new construction, hire an architect. Architects are trained to look beyond the outward design and consider the usability of a space, local building codes and zoning regulations, and can draw a complete set of home remodeling and home addition plans. Some design/build remodeling contractors in Napa County can offer lower costs and shorter construction timeframes by providing both home designs and building services. Some Napa County remodeling contractors prefer to do their own designs in-house and have the ability to draw home remodeling and addition plans in-house.